It's not shaping up to be a good Diwali so far: Dad has forgotten the sparklers, the fairy lights are broken, and, after hearing the story of Rama and Sita, Deepak is sure that Ravana the demon king is after him. Will Deepak's Diwali be a washout or will the family's celebration be rescued? 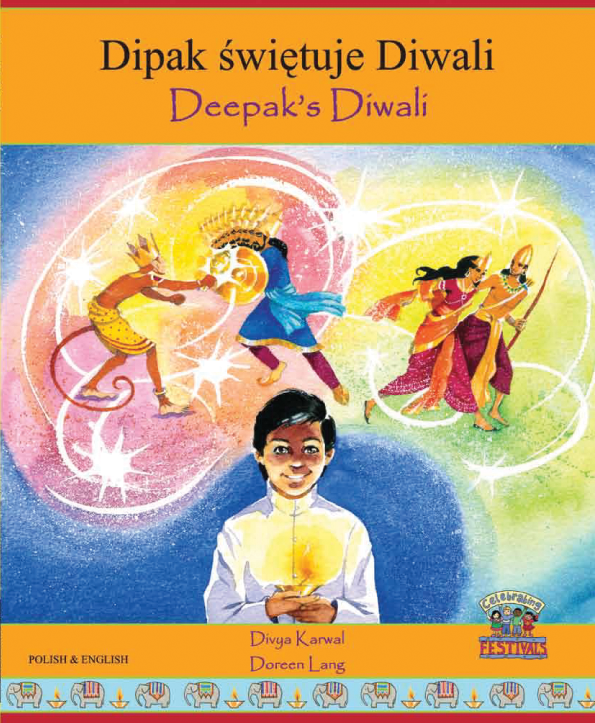 Join Deepak and his family as they celebrate the festival of lights. Mantra Lingua's Celebration Series of dual language books explores the way people from different cultures celebrate festivals around the world. Packed with recipes, facts, and activities, these beautifully illustrated books offer an invaluable insight into other cultures and traditions. In the classroom, these titles can be used to introduce students to religious festivals and ceremonies that they may not be familiar with. At home, the Celebration Series is perfect for teaching young children about family celebrations.